€15 Euro Price XL ONLY. 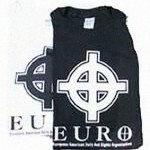 High-quality white, 100% cotton, t-shirt from David Duke’s run for U.S. Senate in 1996. €15 Euro Price XL ONLY. 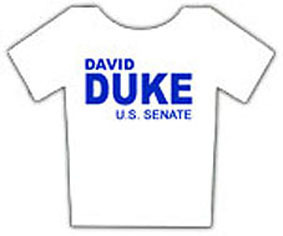 High-quality white, 100% cotton, t-shirt from David Duke’s run for U.S. Senate in 1996. These are the original t-shirts from the campaign and we only have size XL left.